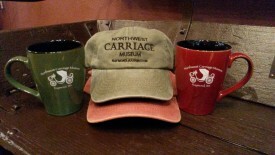 The Northwest Carriage Museum is a great place to find that unique gift. Shopping for a birthday? Anniversary? Holiday? Souvenir? 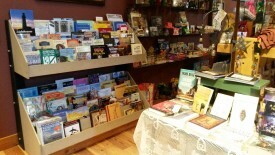 We have a wonderful collection of books, jewelry, housewares, toys, and so much more! 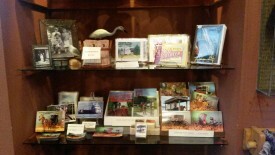 We are always updating inventory in our gift shop. 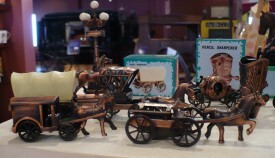 Pictures below show some of our selection! 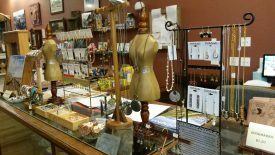 Gift certificates are also available for your shopping pleasure. Prices listed for items do not include sales tax, postage or handling. To place an order, please call us at 360-942-4150 or write us at PO Box 534, Raymond, Wa 98577. We will not ship an order until we have received payment. We accept Visa, Mastercard, personal and business checks, and pay pal options are available. Since quantities are limited, please call for availability before sending your payment.